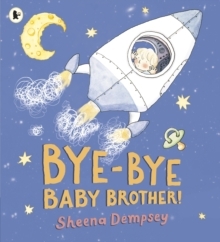 From a fresh new Irish talent comes a picture book about new babies, busy mums and a little girl with a very BIG imagination!Ruby loves nothing more than playing, especially with Mum. But Mum is always so busy with Oliver, Ruby's little baby brother, and Ruby is tired of waiting. She's already looked at TONS of books, painted SO MANY pictures and she's even dressed her dog Rory in a very fetching stripy jumper. Babies are so boring. Ruby stomps out into the garden and there she begins to wonder ... what if she could magic Oliver away? 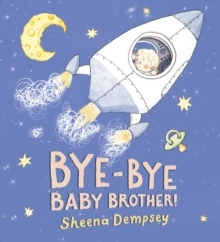 With the perfect blend of knowing observations and truly funny art, Sheena Dempsey's very first picture book perfectly captures the anxieties and frustration of having a new sibling.